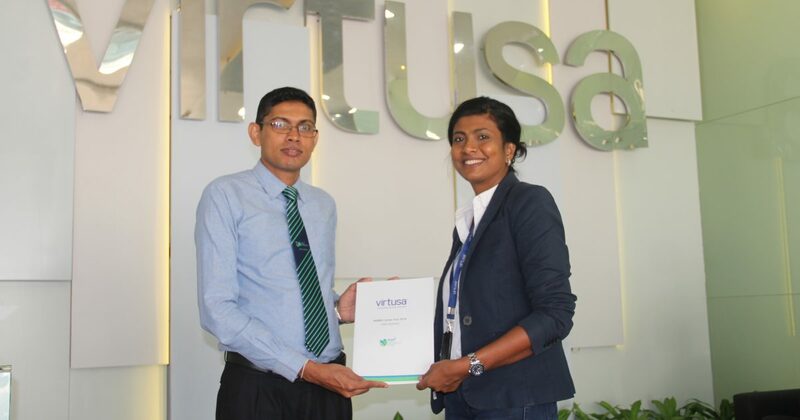 Virtusa Private Limited, one of the leading experts in information technology consulting and outsourcing services in Sri Lanka has partnered with NSBM Career Fair – 2018 as the Gold sponsor. The Career Fair will be held on 1st and 2ndDecember 2018 at NSBM Green University Town, Pitipana, Homagama. 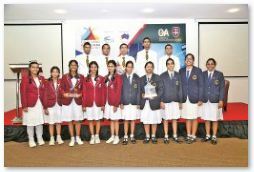 ChandiDharmaratne, Senior Director HR of Virtusa said “NSBM has evidently showcased their commitment to excellence in education by producing large volumes of expert professionals over the years. As such, it is indeed a privilege to have this opportunity to partner NSBM’s Career Fair and introduce many more professionals to today’s Tech landscape. Being an industry leader with a solid track record of accelerating business outcomes for global clients, Virtusa prides itself on our rich, diverse workforce by bringing together people from different geographies, cultures and ethnicities to make a difference in the world. As such, this partnership is a natural fit where the best talent in the country is given the opportunity to meet global businesses and prove their capabilities”. Kapila Liyanage, Manager – Career Guidance of NSBM added “We, at NSBM extend exceptional efforts to groom our graduates as industry ready output by the time they complete the degree program. This annual Career Fair is a vital component of this effort”. This Career Fair is an opportunity to meet over 1,100 graduates from the School of Business, over 600 graduates from the School of Computing and 50 graduates from the School of Engineering who are graduating in December 2018 and are available for employment.Companies and employer organizations will be able to meet the above student groups, to inform them about their career opportunities, conduct interviews and recruit fresh graduates and interns at this event. The first day of the Career Fair (01st December) will have a greater focus on Business Management related opportunities while the second day (02nd November) will focus on IT / Computing and Interior Design related opportunities. Over 50 companies have confirmed their participation for the Career Fair as of now. 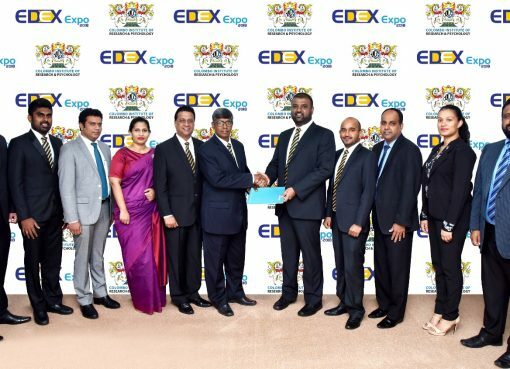 This includes companies such as AIA Insurance, AISEC, Apigate Sri Lanka, Baker Tilly Edirisinghe& Co., BDO Partners, Calcey Technologies, Cambio Software Engineering, Ceylon Biscuits, Ceylon Economic Development Corporation, Cinnamon Hotels & Resorts, Cloud Solutions International, Codegen International, Creative Software, Daraz, Decathlon Sri Lanka, Diesel Motor Engineering (DIMO), Direct FN, Duo Software, EasyBooking, Embla Software Innovation, Empite Solutions, Eureka Technology Partners, Fidenz Technologies, Fortude, hSenid Business Solutions, hSenid Mobile Solutions, Hayleys Group, Hemas Manufacturing, IFS R&D International (Pvt) Ltd., Imperial Tea Exports, ISM Apac, HSBC Global Service Center, HSBC Sri Lanka, i- Context, Imperial Tea Exports, Itelasoft, John Keells Holdings, John Keells Logistics, Live Room, London Stock Exchange Group, Olanka Travels, Omobio, Rainco, SimCentric Technologies, Synergen Health, Unilever Sri Lanka, Virtusa, Vision Care, VizuaMatix, Zone24x7 and Z Messenger who will provide internships and entry level employment opportunities related to Business Management and IT / Computing and Interior Design at the Career Fair. Virtusa Pvt. Ltd., (www.virtusa.com ) the Gold Sponsor supports over 200 of the world’s leading brands by providing solutions that utilize cutting-edge technologies to help them work smarter and at lower cost across the full spectrum of their operations.NSBM Green University Town (www.nsbm.lk) is a fully-fledged University Town built on a 26 acre premise at Homagama. NSBM offers UGC approved and foreign undergraduate and postgraduate programmes in Business Management, Computing, Design and Engineering. Companies can reach NSBM Career Guidance Unit via emailing to [email protected] or calling on 011 544 5067 for registration for the Career Fair.